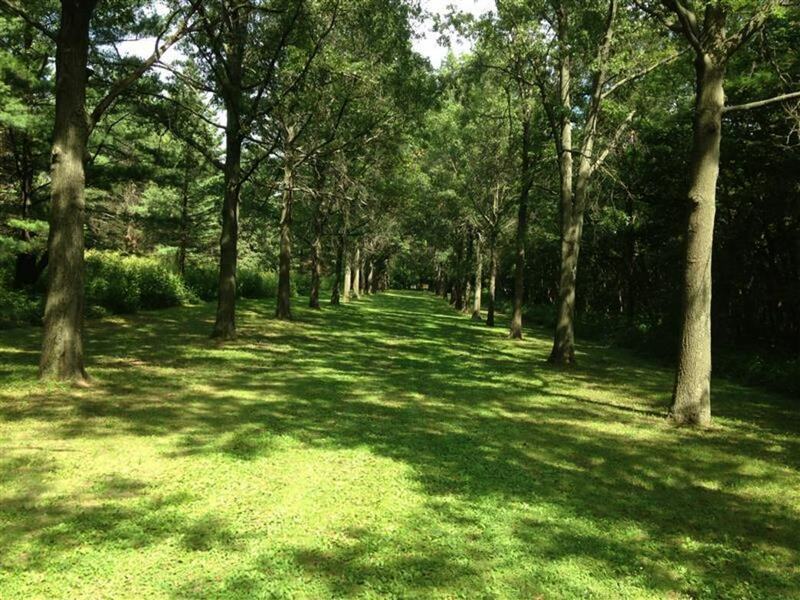 The newest of the DuPage County Forest Preserves will introduce runners to a new term—allées. Varies, depending on which trail you choose, but there are about 3 miles worth of trails total. In the 1950s, the property was taken over by their son, Brooks, who continued to manage the estate and get more involved in the family's interest in horses. He built an indoor horse arena and founded the St. James Riding School for the Handicapped. When he retired from International Harvester in 1980, Brooks developed the property more fully as an equestrian facility, which meant the construction of a 62-stall stable for competition horses, a steeplechase track, and dressage and jumping arenas. Several international competitions were held on the property. The forest preserve is still in development, but the goal is to turn the once private property into place for “conservation, education and recreation to be enjoyed by the public,” according to the forest preserve district. The buildings on the property—still heavily focused on horses—offer a glimpse into the history of the McCormicks and farming life in DuPage County. 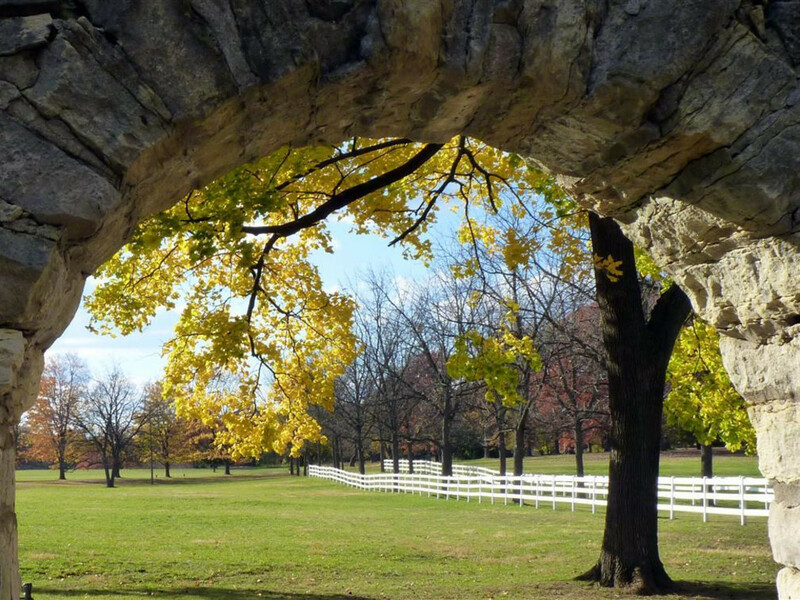 In addition to the historical significance, St. James Farms offers runners more than three miles of off-road trails that highlight the landscape design of the property. The trails are highlighted by allées, or tree-lined promenades, that extend from the buildings on the property. Most feature a mowed grass surface, and create a beautiful way to explore the property. The Pin Oak Allée just to the east of stables will take runners to the .5-mile White Trail and 1.7-mile Red Trail. A crushed limestone pathway running north/south will take runners to the .5 mile Yellow Trail, which runs near the Spring Brook. Check out the trail map here. While there aren’t a lot of miles for running, the uniqueness of the trails are what makes St. James Farm a worthy destination. Many pieces of the McCormick’s art collection is on display throughout the park, and the 612-acre forest preserve features a combination of woodlands, prairie and wetlands, in addition to the more formal allées and gardens. It’s also adjacent to the Aurora Branch of the Illinois Prairie Path, allowing you to add miles to the trail system within the preserve. 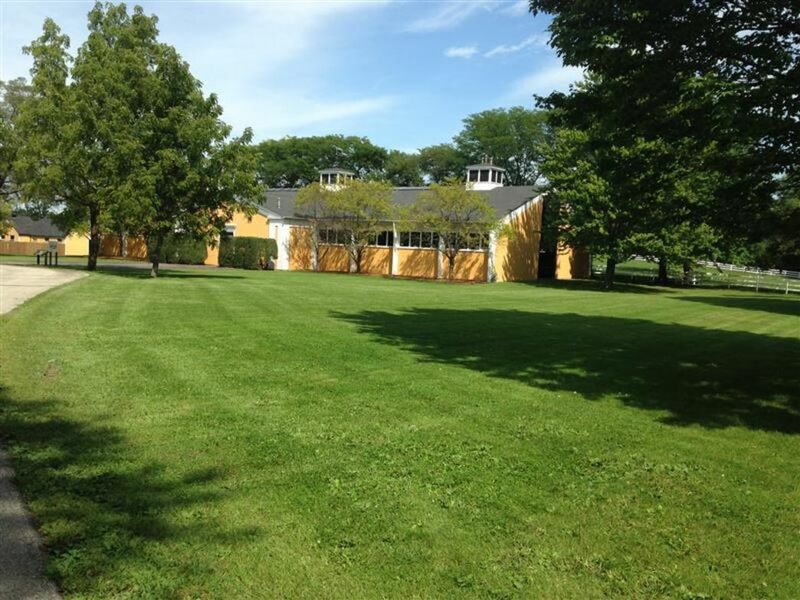 St. James farm is also host to the St. Jimmy Shimmy, a 5K trail race in September. 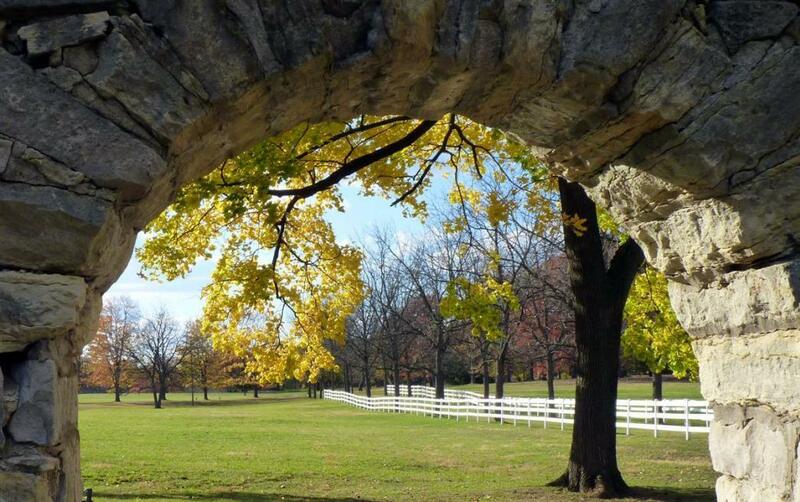 Runners who enjoy their history will certainly get a lot out of the St. James Farm. Also it’s one of the few forest preserves that offer significant grass trails. Parking at the St. James Farm is easy. The new parking lot, which just opened in the last year, is accessible from Winfield Road. 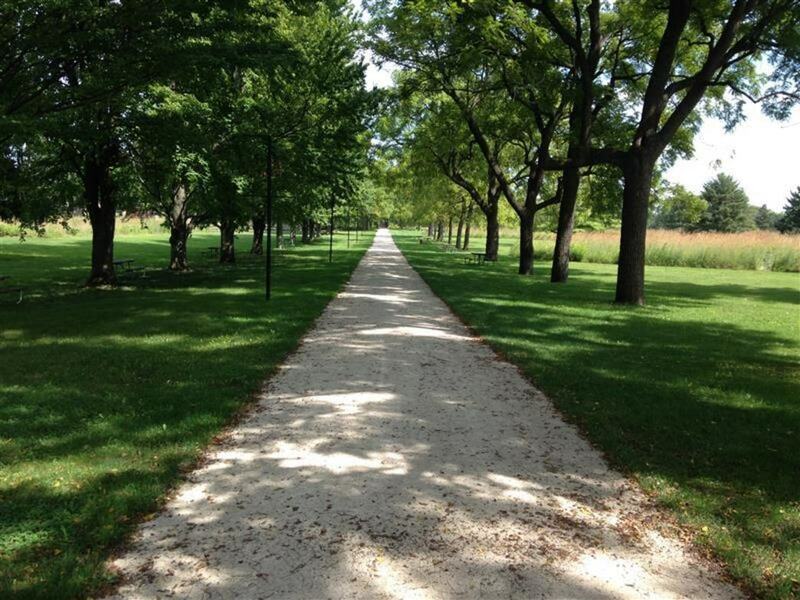 Runners or cyclists can take the Illinois Prairie Path and enter the preserve on the east side at Hoy Avenue. Hours are one hour after sunrise to one hour after sunset.